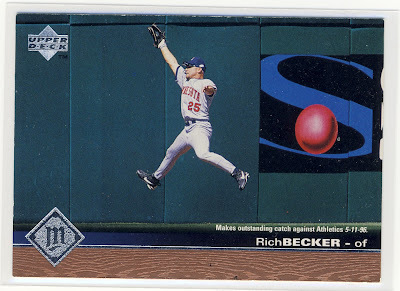 I enjoy this card because this might very well be the high point in Becker's career. And what a catch it was! Richie had the unfortunate duty of taking over the center field position after Kirby Puckett's sudden retirement.